Harvard University Press, 9780674024014, 179pp. To answer these questions, psychologist Susan Clancy interviewed and evaluated "abductees"--old and young, male and female, religious and agnostic. She listened closely to their stories--how they struggled to explain something strange in their remembered experience, how abduction seemed plausible, and how, having suspected abduction, they began to recollect it, aided by suggestion and hypnosis. 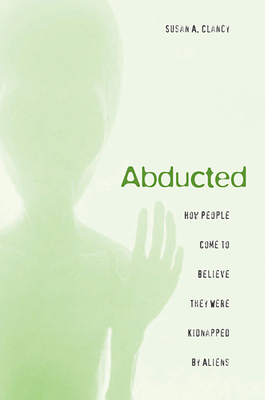 Clancy argues that abductees are sane and intelligent people who have unwittingly created vivid false memories from a toxic mix of nightmares, culturally available texts (abduction reports began only after stories of extraterrestrials appeared in films and on TV), and a powerful drive for meaning that science is unable to satisfy. For them, otherworldly terror can become a transforming, even inspiring experience. "Being abducted," writes Clancy, "may be a baptism in the new religion of this millennium." This book is not only a subtle exploration of the workings of memory, but a sensitive inquiry into the nature of belief.